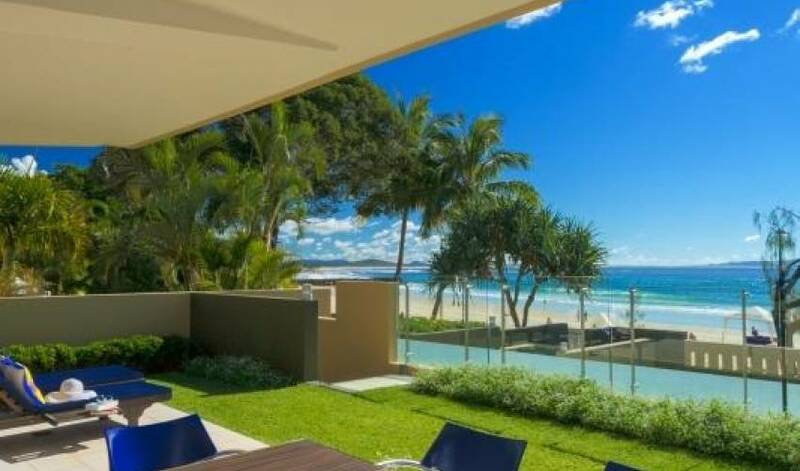 Picture sitting outside for a meal in your alfresco dining area and terrace, and looking out to the pristine waters of Noosa’s Main Beach. 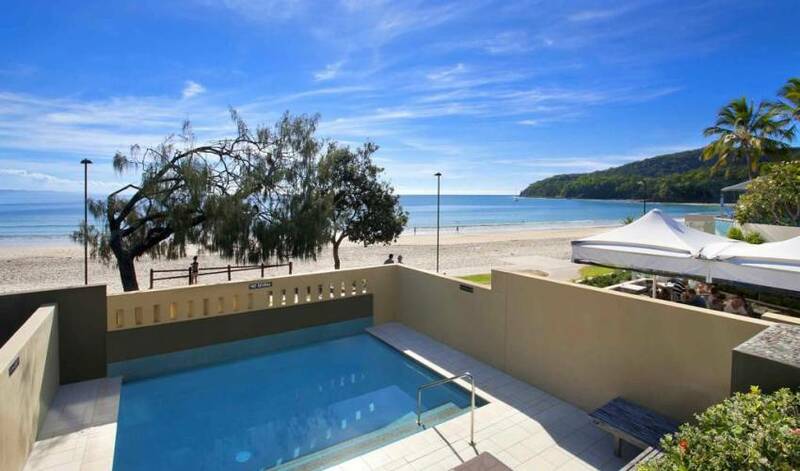 Not only a stunning sight for the eyes, but the calming sounds of the waves rolling in to the beach ensures for an immensely relaxing holiday. 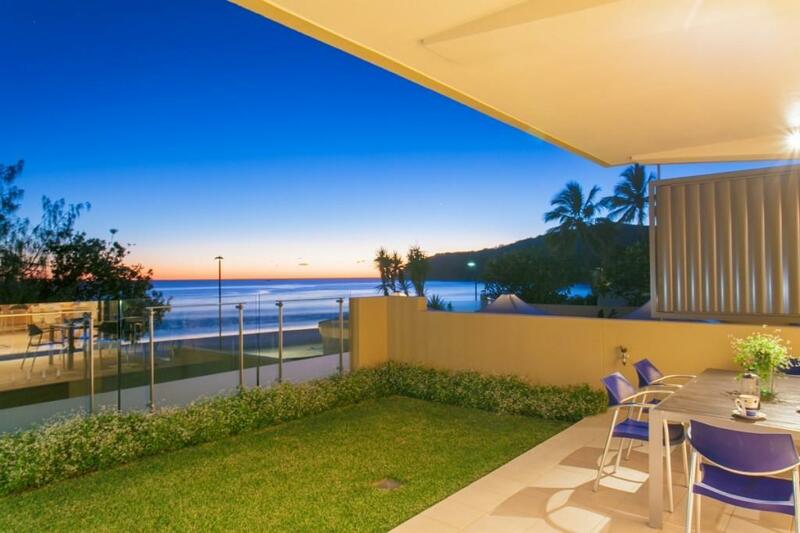 This opulent three-bedroom apartment occupies the entire garden level of this exclusive three apartment building right on the beachfront. 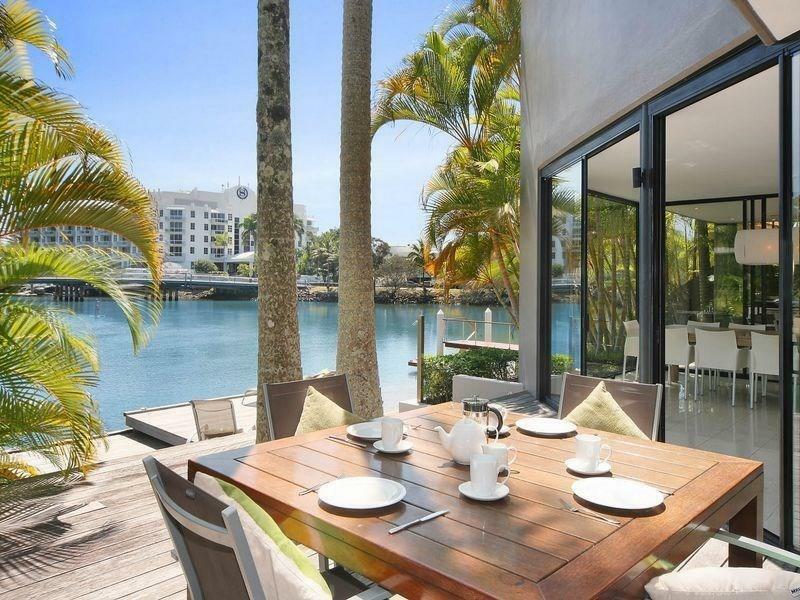 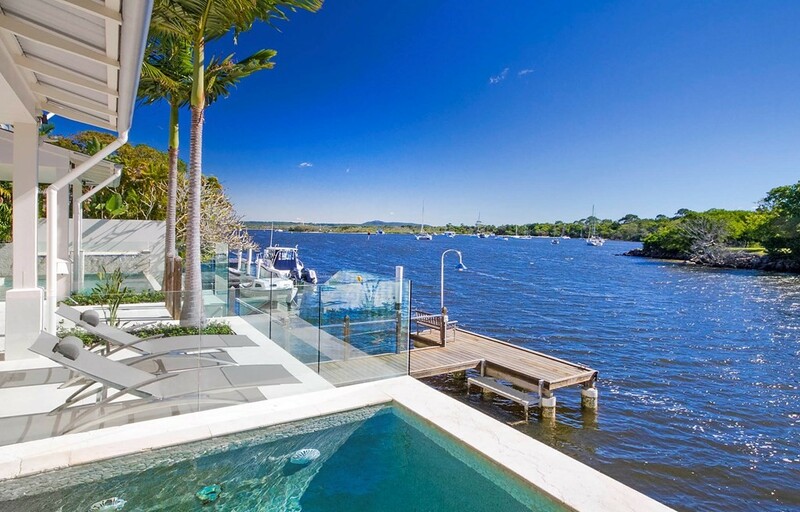 Immerse yourself in luxury, at this absolute waterfront location, where the terrace extends the living spaces and provides direct access to the beachside pool as well as the beach. 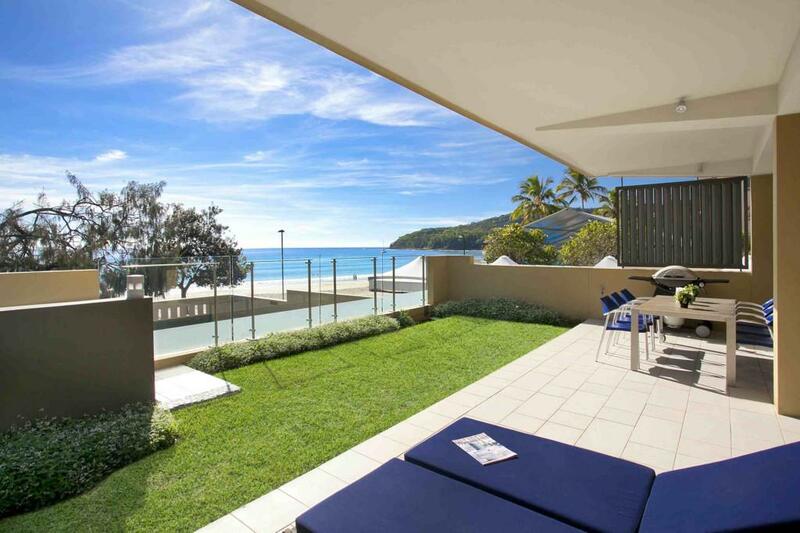 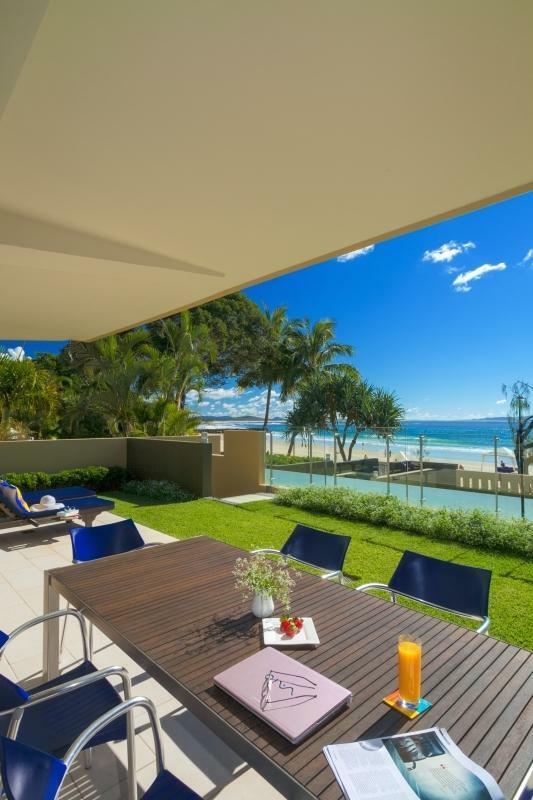 The apartment faces due north for delightful sunshine all year and its elevation above the beach path ensures ample privacy while the three bedrooms attract plenty of natural light. 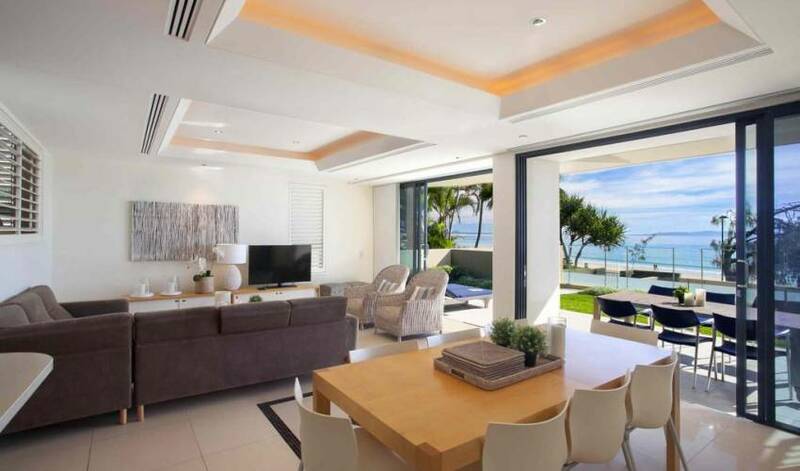 The entire apartment is exquisitely furnished, there is a media room for additional recreational space, and each bedroom has its own ensuite. 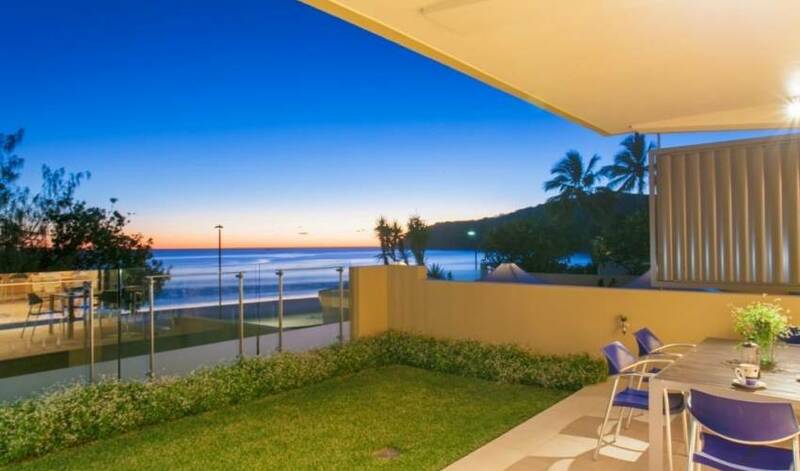 There is direct-lit access from the secure basement car park, and the apartment is air-conditioned with many security features. 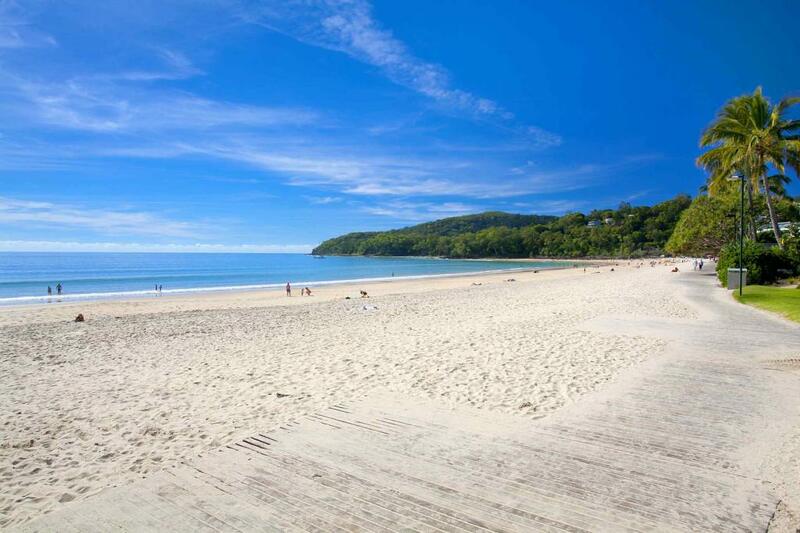 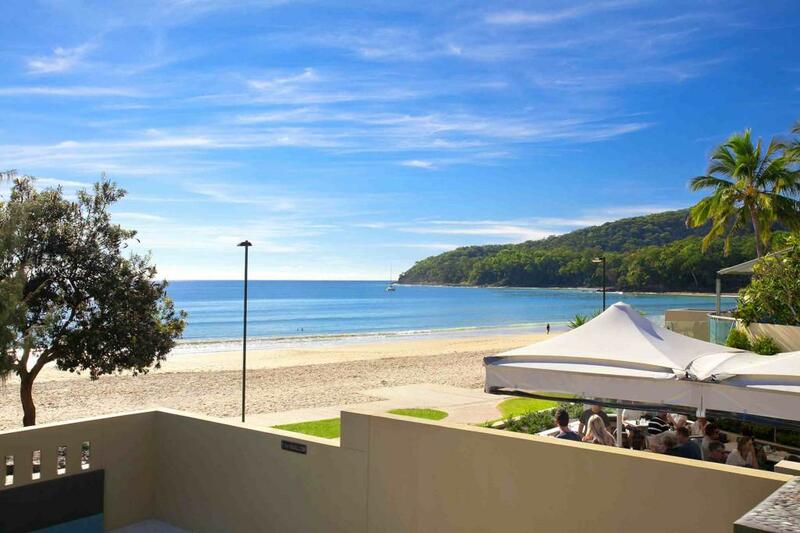 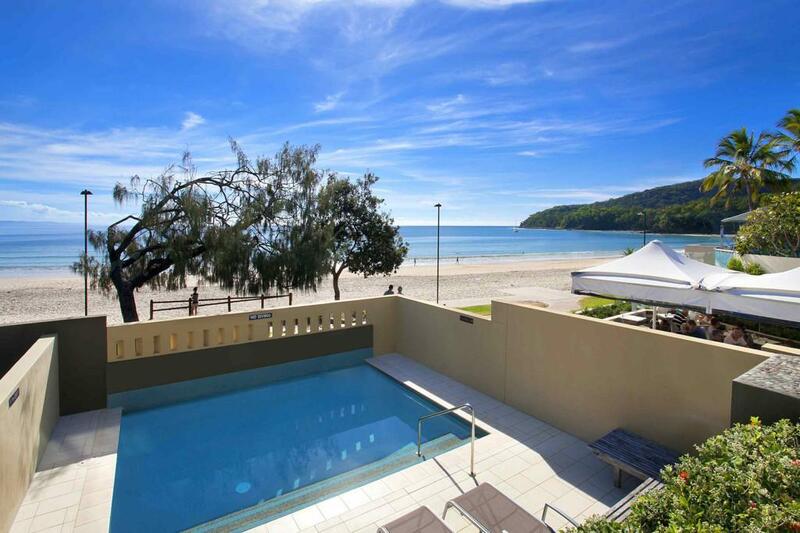 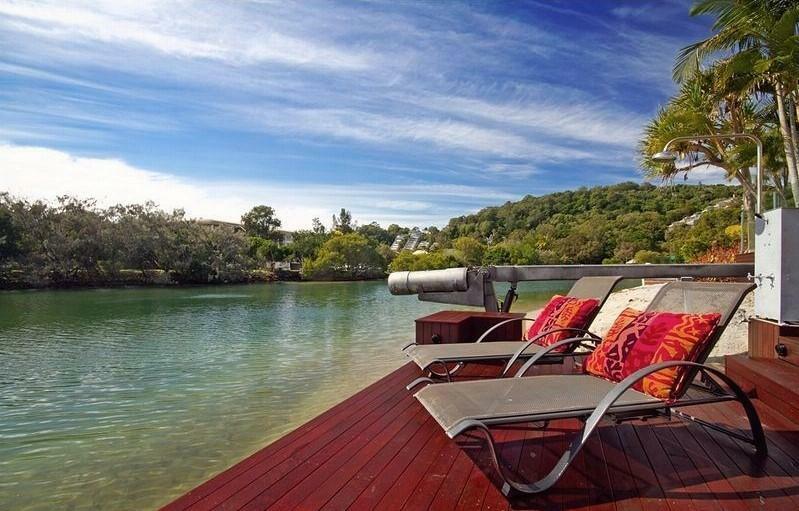 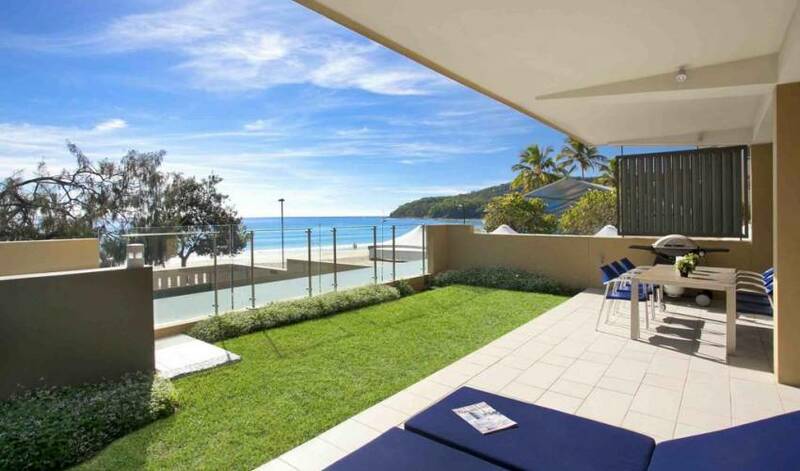 Not only are the picturesque shores of Noosa Main beach at your fingertips when staying in this apartment, but you are also situated on the most desirable streets in Noosa being renowned for its designer boutique shopping outlets and fine beachfront dining. 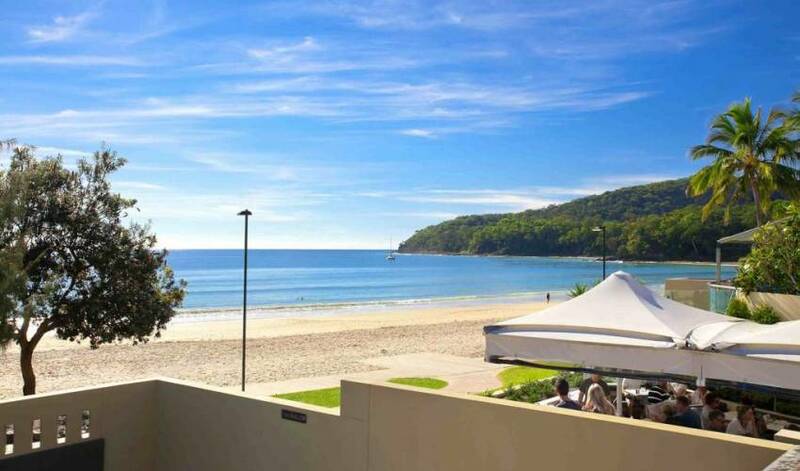 Mere metres from your doorstep you will find award-winning restaurants along the bustling strip that is Hastings Street, along with a diverse range of gourmet delicacies relaxed cafes and local bars. 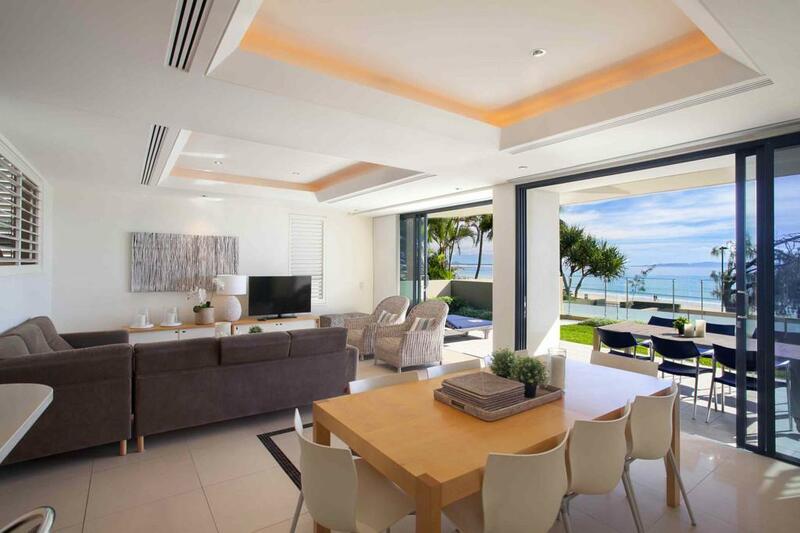 You will also find some of the most stunning fashion and jewellery available from local designers, as well as prestigious international designs.